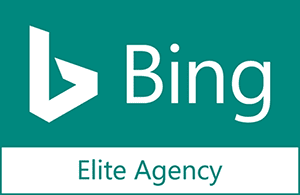 Every business has the same goals of exceeding buyer expectations and increasing qualified traffic. But how do you capitalize on the overwhelming number of advertising opportunities available to you? 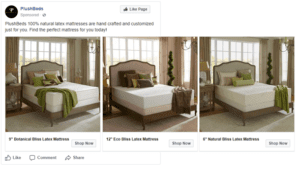 PlushBeds, an ROI Revolution client and leading manufacturer in the mattress industry, looked to Facebook advertising to answer this question. Their goal was to recapture consumers nearing the end of their buyer’s journey through remarketing campaigns. These consumers were often very close to a purchase and needed that one final push to purchase from PlushBeds vs. one of their competitors. They turned to the team at ROI Revolution to leverage Facebook Dynamic Product Ads to accomplish this goal and convert more browsers into buyers. Heading into the week of Black Friday 2017, PlushBeds had a clear goal for their paid social channels to keep mobile traffic engaged. With big ticket items like beds, the competition is incredibly intense. A purchase requires far more consideration from the buyer, especially near the bottom of the funnel. 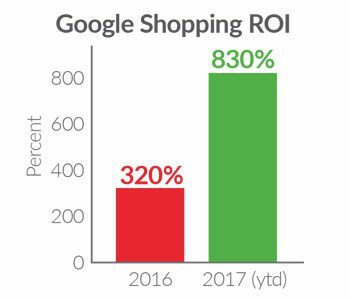 This is why remarketing is such a valuable tool, as it resurfaces the brand right at the end of the buyer’s journey. 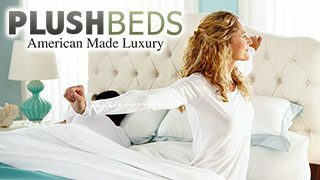 Plushbeds knew that more than 70% of their traffic was coming from mobile. 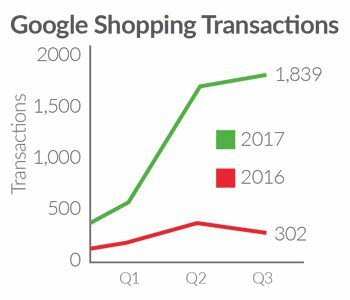 Additionally, they had determined that their buyer cycle was getting longer, with more touch points due to consumers seeking detailed information and the best deal before buying big ticket items. With this in mind, the ROI Revolution team determined that Facebook Dynamic Product Ads would be an excellent way to reengage with consumers who already had some interaction with their brand and were far more likely to convert. Facebook users are often in browse mode, so Facebook ads need to have high quality images and interesting, enticing messages which support and enhance your value proposition. The first step for the ROI team was to get the Facebook pixel installed on their company website. This allowed our team to track Facebook users who had also previously visited their site. Once this was set up, the team created audience groups based on strategic lookback windows of when the user was active on the site. This included cart abandoners, people viewing products multiple times, and browsers who spent a lengthy amount of time on their site. Next, the team set up an optimized feed that utilized fresh content for PlushBeds’ Dynamic Product Ads. High-quality images were swapped out on a monthly basis. Additionally, they tested messages that included sale pricing and sale names (i.e. “Black Friday Sale”). They also tested messaging that included “why to buy” statements showcasing their brand values of comfort, quality, and reliability to help alleviate consumers biggest obstacles to purchase. 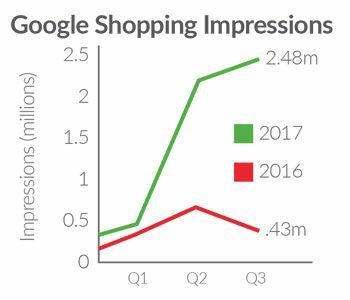 Highly targeted campaigns around Black Friday led to growth of transactions by 110%. Over the entire Thanksgiving weekend (Black Friday through Cyber Monday), Dynamic Product Ads accounted for 70% of Plushbeds’ total Facebook revenue, and were the driving force in 59% YOY growth in overall advertising revenue and ROAS over the 5 day holiday span. With the same amount of Facebook advertising dollars invested YOY, the addition of Dynamic Product ads saw substantial growth in 2017. 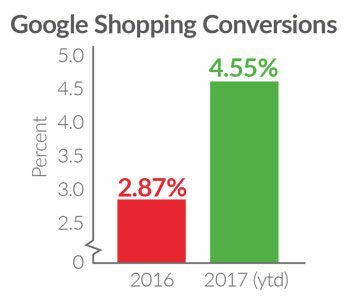 These remarketing campaigns led to 26% more transactions YOY and an increase of 56% in revenue, 55% in ROAS, and a 20% decrease in CPA! Facebook is an excellent channel for audience targeting. Leveraging the proper ad type can have a huge impact on overall profitability on the channel. While many think of Facebook as merely a lead gen or brand awareness platform, ad formats such as Dynamic Product Ads pave the way for improved conversions, revenue, and ROAS.